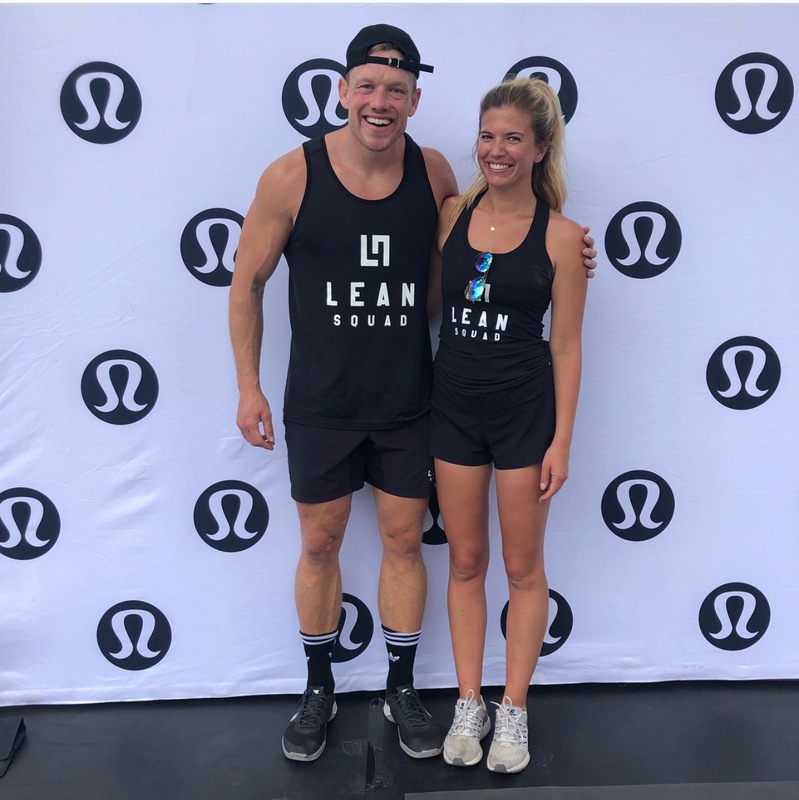 Our quest to find Canada’s finest health and wellness leaders continues, and this time we’ve spent some time chatting with Phil MacKenzie, founder and health guru at LEANSQUAD, which is dedicated to improving the lives of its members through tailored workouts and awesome healthy recipes. 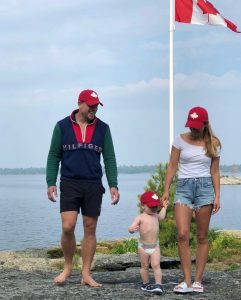 Phil is also an ex- pro Rugby Player, husband to Brodie and dad to adorable son Hudson! We asked Phil to give us some food for thought on healthy living and are really excited to share his insightful responses. SH: Can you tell us a little bit about what you and your business partner have been getting up to lately in the health/wellness/fitness world? Phil: Eliot and I try to get up each morning and get a solid workout in around 6:30 AM at the Lean Lab. We find that if we can get a workout done in the AM, it maximizes our day of work. Also, by working out in the morning (usually in a fasted state) we both feel way more energized and productive during the day. It is crazy how much of an effect exercise has on the both of us! We have also tried to implement daily meditation (after a workout, but before diving into the day) to clear our minds. Eliot and I have been trying to experiment with vegan and vegetarian dishes (with the help of my wife, Brodie) which has been super rewarding! We have a lot of vegan and vegetarian Squadies so we want to have a TON of recipes available for them! I have found some great options and am super excited for everyone to try them out! SH: How did you begin your fitness and wellness journey? Phil: I grew up playing all types of sports, but pursued rugby heavily in high school. My passion turned into a career as I played for the Canadian National Rugby team. I also played for the Sale Sharks in the Premiership in Manchester, UK for 8 years. During my playing days, I loved training and being in top condition to ensure I was always ready to play my best. After my playing days were done, I thought it would be amazing to provide people with the same treatment and customization that I received! 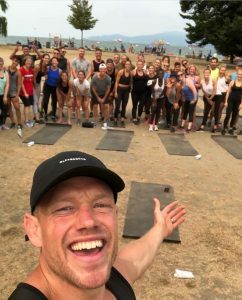 I wanted to help people get healthier and fitter through HIIT workouts and proper eating! I started with 1 on 1 personal training but quickly switched to online coaching because I was able to reach more people! SH: How do you maintain an active lifestyle? Phil: My wife and I have always been active. We just really try to prioritize exercise in our daily routines. Even if it’s not “getting to the gym”, we try going out for a walk. Sometimes, an at home 15 minute HIIT workout is all there is time for! We are super busy, but we always try to make a commitment to our fitness. We find that often the morning is the best time to workout! SH: What is your favourite exercise? Phil: I wouldn’t say that I have a “favourite exercise” but I do love Sprinties on a Treadmill. I find it the best way to stay lean and burn tons of calories! That’s why I include it in my programs. After a day in the gym where I have Sprinties in my workout, I always find myself way more energized and happy! SH: What’s your favorite healthy meal? Phil: Having a 1.5 year old, I am always looking for something that is healthy, but super quick and easy to make! My go to is a bag of cauliflower rice and a rotisserie chicken with some kind of vegetable! Normally I will try to cook something a little more interesting, but this is a GREAT option for something quick! SH: What do you love about helping people live well? What’s your favourite part about running your business? Phil: The absolute best thing about the LEANSQUAD is our community. Our Squadies (members of LEANSQUAD) are the coolest people, and I have enjoyed every second of getting to know them. What truly makes my day is when I receive a text, email, or message about how the LEANSQUAD is positively affecting one of our Squadies. It is so rewarding to see people reaching their goals! The other great thing about being an entrepreneur is the ability to see my son and wife on a regular basis. Although I am busy, working from a home office has allowed me to be present for a lot of big events! SH: What do you know now that you didn’t five years ago (but wish you did) about nutrition wellness and or fitness? Phil: Even as a professional athlete, I never used to employ the HIIT workout training method. I used to spend much longer in the gym, and sometimes see less results than I do now. Of course, I was training specifically to be a professional rugby player. However, I am definitely leaner and look better NOW than I did when I was playing, while working out less. Also, I did not eat properly when I was playing. I didn’t focus on my diet too much. It was nowhere near as solid as it is now. I feel much more energized now because I eat the right foods, use fasting and eat at the right times! SH: What advice would you give to people starting or continuing their own health and wellness journeys? Phil: Make sure that your program works for you! Focusing on your health is SO SO SO important. There will definitely be some sacrifice, but making sure that the program is sustainable is critical. In my mind, diets & workout programs that are too restrictive will never work in the long term and just have the Yo-yo effect. Find something that is a lifestyle choice where you are making sustainable decisions on a day by day basis and striking the proper balance. SH: If there’s a dessert you wish there was a healthier version of out there, what would you choose? Phil: I don’t really have a sweet tooth, but I do LOVE Sour Cream and Onion Pringles and Ruffles All Dressed. I have been known to eat an entire bag to myself on a treat night. SH: What’s the funniest thing that has ever happened to you as a health and wellness business owner? Phil: Because I am heavily immersed in social media, I have been called out a few times by strangers for not eating “lean”. They recognize me from my Instagram account! With that said, they were right, I was standing in line at a fast food restaurant. Like I said, it’s about balance!! Who are your wellness crushes? Why? He and I have been friends since I started the LEANSQUAD. I really like his studio and how he trains! Anytime I am in Vancouver, I always try to get a workout in! Thanks so much Phil for your awesome and inspiring food for thought on healthy living! You can find Phil and Lean Squad on Instagram @leansquad and you can learn more about the healthy solutions he offers at www.lean-squad.com.